Do you know Guinness? 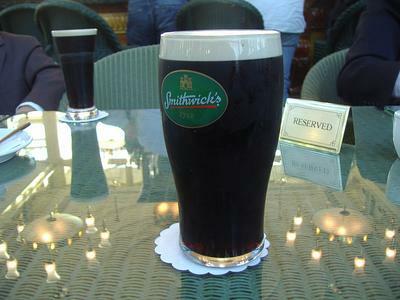 Of course you know, but this time I will talk about the Guinness which is not the book of records. It is a kind of beer that is black and bitter. It was created by the Guinness family and is a kind of beer that many Ulstermen are very proud of. This kind of beer is made by burned wheat. The nutritive value is very high. So people who are very ill can use it as a tonic. It may be a little like cappuccino because of the white foam. You can write your name on the foam. When you drink up your beer, your name on the foam will still exist. When we talk about whiskey, Scotland will often come into our mind. But the earliest brand of whiskey is made by a Northern Ireland factory named Old Bushmills. 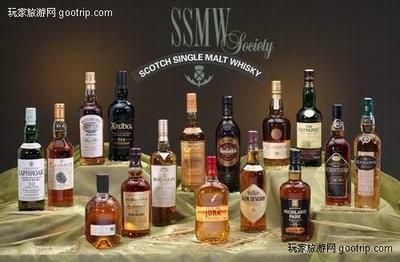 There are two kinds of whiskey you must taste a lot. One of them is Irish whiskey, and the other one is the king of whiskey named Baileys. The spelling of "whiskey" is different between Northern Ireland and England. In Northern Ireland they use whiskey (with an 'e') instead of whisky, because they think their whiskey in Northern Ireland is more excellent. If I have a chance to go to Northern Ireland, I want to try the traditional beer & whiskey there.